Apparently Christmas is not too far away….. again…. Yep the house was going to be a two year project……three and a half years ago!!! As I gaze at acres of plywood that needs to be sanded, undercoated and painted my mind drifts. When you are Owner Building it seems that time stretches, in the words of Buzz Lightyear “To Infinity and Beyond!! !” then folds in on itself, has a bout of hysterics and then tells you that your Owner Builder permit needs renewing. Life it seems has a nasty habit of getting in the way of building. Does this mean that professional builders do not have lives I muse. Hmmmmm. Take for now for instance. Put my trusty Hiace van in for a much needed service and get told that it needs a new or reconditioned head. Bye bye $2000 ish or in other words the money for the Laundry and part of the kitchen. Or that other bit of life ….. work. Yep that is a necessity to pay the bills but it gets in the way of lifw/owner builder unbalance. People do ask “Hows the house going?” as you see a macmansion pop up it seems very other week. Grrrrrrr through clenched teeth politely. I am now rambling. On the plus side you do get a warm fuzzy feeling when the Building surveyor comes around and passes everything bar two minor things and you get a Certificate of Occupancy. That’s right we can legally occupy the house that we have occupied since we bought the place. S.O.B.S or Slow Owner Builder Syndrome has been borne out by at least two articles in Owner Builder Magazine that I can recall and probably more. One “Owner Builder Limbo” in issue no 142 Aug/Sept 2007 and the other more recent “Finding Zen in the process of Owner Building” issue 168, Dec/Jan 2012. I do wonder how a house gets built at all somedays. On others things start to come together and projects get finished only leaving a million small unfinished things like wardrobe doors to be built, bathrooms not even started, Mosaics for the laundry splashbacks and that is without going near the garden. still there is satisfaction when you look back on what you have achieved. It is easy to forget what the place looked like when you moved in and what it does today. the other realisation with renovation is that you spend an awful long time taking things apart and cleaning them, stripping paint, denailing, storing them, measuring them, knowing that Murphy’s Law will say that a piece of timber will be just too short, narrow, or shallow. So to allay Murphy and to keep it all in perspective I thought a slide show of now and then with a bit in the middle might help. 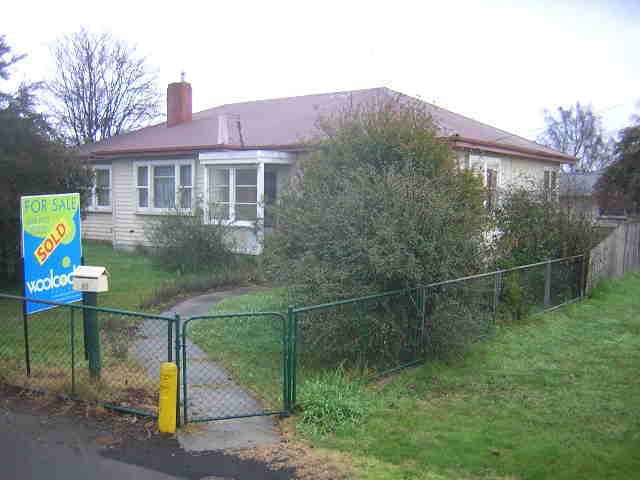 September 13th 2009 Mandy & I are opening our house up as part of Sustainable House Day. 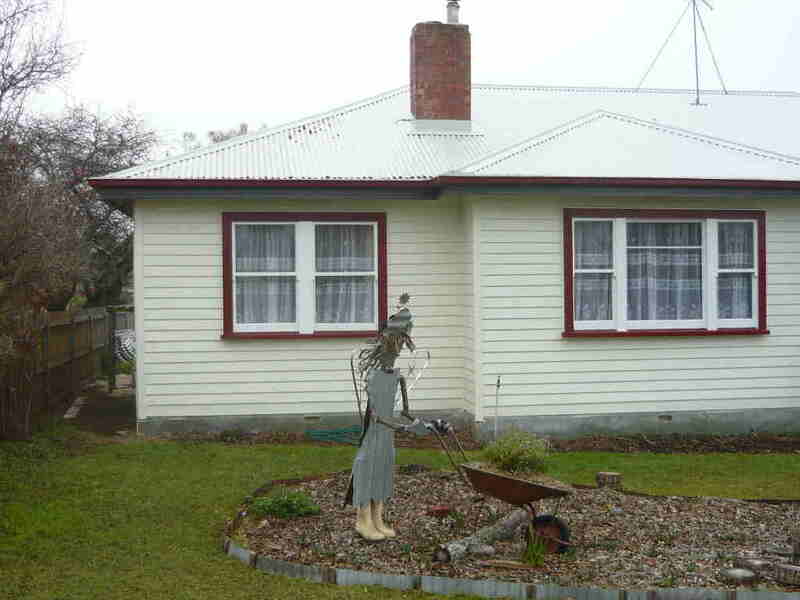 It is on 13th September and five houses in Northern Tasmania are opening up their doors as part of a national day. All sorts of houses are opening to the public to show what sustainablity is in the home. 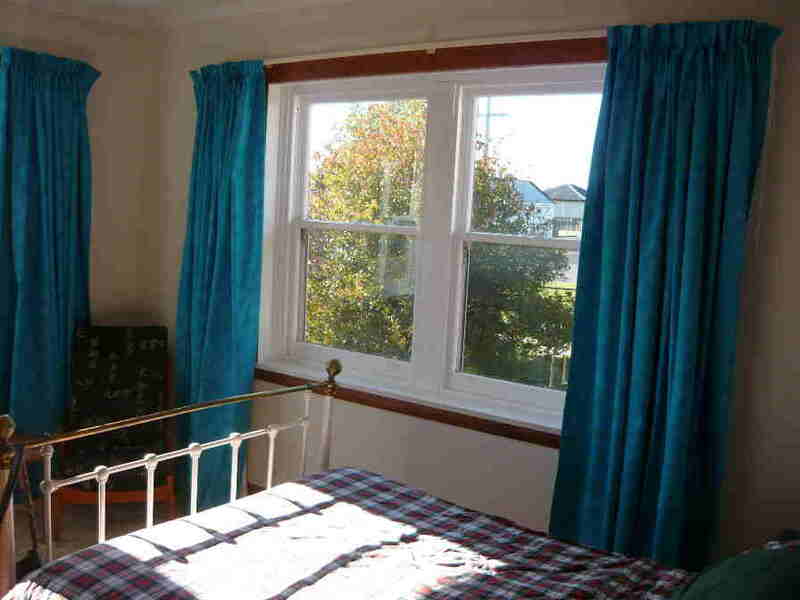 Come along and have a look at five very different homes around the Meander Valley in Northern Tasmania and see what it is all about. I approached the Sustainable House Day organisers to find out what was required to enter our house. It turned out that Community groups were being encouraged to run local events as part of the day and get paid for each house that was opened. Part of the payment was to go to the householders. In our area there are quite a number of alternative, sustainable dwellings and soon five came forward to be part of it. The community group is The Friends of Jackeys Marsh who run an event “The Jackeys Marsh Forest Festival”. Next year it is to be a carbon neutral event with a sustainable expo, music, and art walks as part of the activities. What a brilliant combination. Sustainable House Day allow the groups to advertise on their website and organise national media coverage while we do the same at a local level. 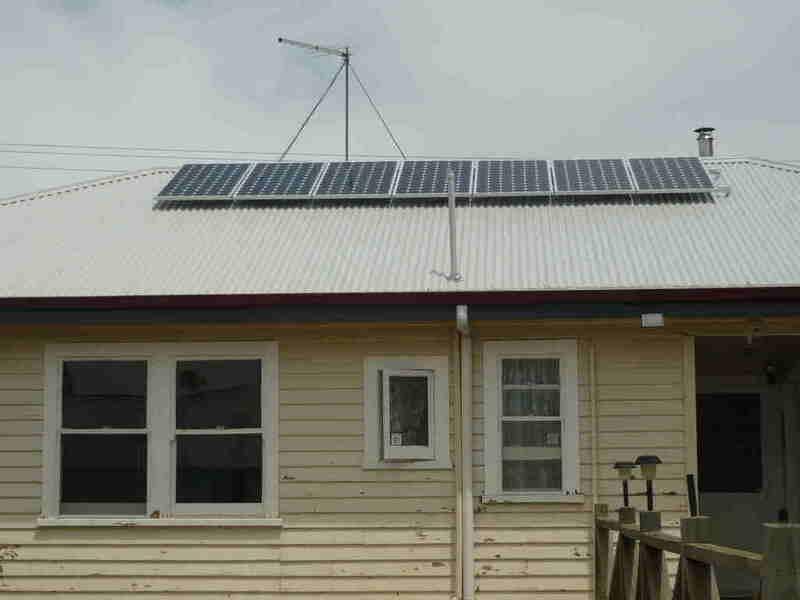 Sustainable House Day is a great concept and has been run for a number of years. Come along and be part of 2009. Mandy. Tessa Dog and I have now been here in the house for one year. It has flown past and looking back it has been quite a journey. The house and garden has slowly been rejuvenated and although we are nowhere near finished lots has been achieved although quite often it does not feel that way. Renovations seem to be a series of surges with long periods of nothing or apparently nothing in between. As we speak the living room is being stripped bare and rebuilt. 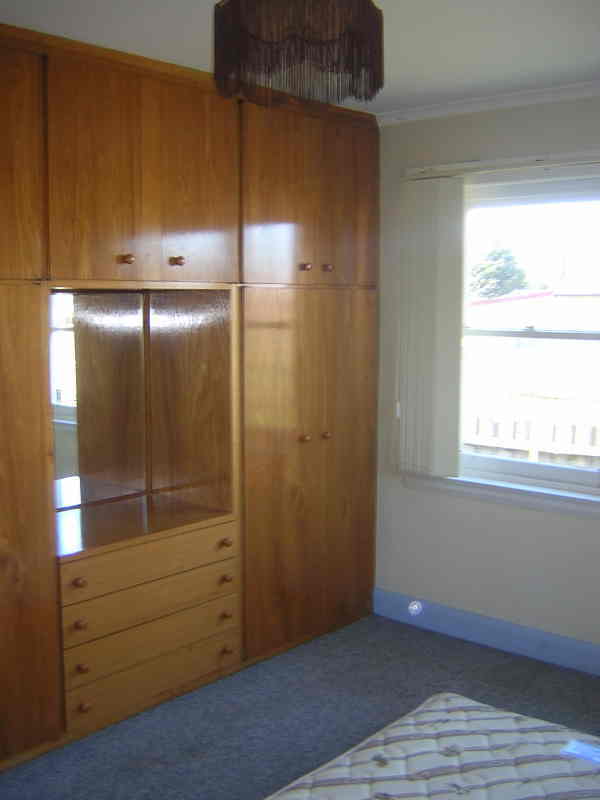 As it is to be a bedroom built in wardrobes need to be built which all takes time. I should be in there today but paid work rears its head and I have to be carrying on with the latest community arts project, a whole heap of flags being painted by primary schools for November. Trying to achieve this renovation sustainably has been a learning curve but the most stand out thing has been the amount of people who are trying to do it in a green way!! Lots and lots and lots. Way to go and three hurrahs!! or maybe four. The feedback we have had from people visiting this site has been great. The garden has been an archeological dig (or mow) with every mowing revealing a new layer of rotting fence palings or something worse. The dog has a lovely collection of squeaky toys now with more found as we poke around. My mowing regime is less as we turn the grass into veggie beds, native tree habitat and low water use front garden. Owner Builder magazine have been very supportive with our exploits making it into a couple of issues and hopefully we will be in a few more as the house takes shape. The house now has three rooms finished and a fourth with its floors sanded and awaiting painting. The plans are in at Council for the extension and the Drafting company have been crawling around in the roof space to let us know what needs to be done. Every time the sun shines the solar panels collect power and puts it back into the grid. The questions that arise every time we start something are now something like this. Is it sustainable? Is it recycled? Is it recyclable? Is it local? Is it natural? and each time we can usually come up with an answer that makes us comfortable. Not all the boxes are ticked every time but we make an effort to try and tick most of them. You know what ? It is working! So in the words of Narnia. ONWARDS AND UPWARDS ! !